It's been snowy wet and cold here and I have not gone out to run since the Buzz and Woody Best Friends 5K a couple of weeks ago. Don't worry -- (were you worried?) -- I've got plans and I shall be getting back out there. I'm just re-grouping. But I did tell you that I at long last started black sash training for Kung Fu. Now that I have graduated to being mainly minimalist, barefoot, or in socks almost all the time, it felt really really weird to put on the old pair of running shoes that I had been using for Kung Fu. Not only did it feel weird, but I was finding that I could not stand them. It seemed like the outsides of my feet were raised up on some kind of platform and this was pushing my feet inward, but then there was this bump in my arch that was digging in when my feet were inward. I could feel my toes cramming in to the front of the shoe and pressing up against it. I felt so-o-o-o uncomfortable and I knew that I needed to be doing this in a much more minimal shoe. As I went uncomfortably through my workout, I made a firm decision to get a different pair of shoes for Kung Fu. The experience for me was like that old story about the Princess and the Pea. The real princess would feel the pea under all those stacked-up mattresses because she was so sensitive. Well, I felt like I have become a real Barefoot Princess, and that my feet have developed into these sensitive soles that can feel every lump in her shoe, just like the princess could feel every lump from the pea under the mattresses. In fact, at one point during the class I was taken by surprise by this very painful foot cramp in the arch of my foot. It felt like I was getting a Charlie Horse in the arch of my foot and I couldn't believe what was happening. We had just finished our third set of jumping jacks and push-ups and were about to go into the third round of crunches, when the charlie horse cramp hit the arch of my left foot. I was in so much pain that I couldn't start my crunches and I just lay there. I had to focus and try to relax the muscle cramp. But I knew that it was because of the shock my feet were having from being in the supported and bolstered running shoes. When I first joined Kung Fu over 4 years ago, I was of the mindset that I would need a lot of support in my shoes because of my weight. I tried using my then-current running shoes, but they provided too much traction. We do Kung Fu on this foamy kind of exercise mats and my feet were literally sticking to the mat and when I would switch stances, my feet would not follow that easily, putting a lot of pressure on my twisted-up joints. So, I took an old pair of Brooks running shoes that were smoother on the bottom because they had worn down and they had seemed so perfect, just like my running shoes for running had always seemed and felt. So, I will be looking in to what shoes I shall use for Kung Fu from now on. I did a little research tonight, but I can see that it might take me more time to decide. I'll write another post with some of what I'm finding out about minimalist shoes for Kung Fu. A few months back I had tried to use my Vibrams for Kung Fu class, but the Vibrams had a little bit too much grip on the mat and I believe it caused me to get a strain in the area where a person gets a toe turf injury. I wrote about that here: "No Run for Me Today: Minor Surgery Instead"
Traditional cotton Kung Fu shoes like the ones you can see here -- Cotton Sole Kung Fu Shoes -- may be my very first option. They only cost about $10.00 and reading the reviews makes me think they will be just the thing. The funny thing is that way back when I first started Kung Fu and I thought I needed support, I saw a picture of these shoes and thought, "Those look way too flimsy. For sure I will need more cushioning and arch support, etc.... blah, blah blah." Now, I'm looking at the same shoe and thinking, "This looks perfect!" It's amazing how much I've changed without really realizing I was changing. Something Different -- How About a Little Kung Fu? Horse stance is one of the basics of the foundation of learning Shaolin Kung Fu. When you first start in Kung Fu, they make you hold that stance for about a minute. By the time you get to the Intermediate/Advanced level, they make you hold it about 3 minutes. But the people in black sash training have to hold it for 5 minutes. This morning I held it for 5 minutes for the first time. I took the self-portrait above before I met all of you on Barefoot Fresca blog. Two years ago, actually. Around the same time I decided I was going to run a half marathon. Around the same time I decided to build a base by walking for 8 weeks or so and then walking a 5K as a preliminary to starting to run again. But this is now: One of the reasons (amongst many others which I've iterated on this blog) I wanted to train for the 1/2 marathon was that I was slowly working my way towards getting into the black sash training at my Kung Fu school. I had heard that the black sash training was tough, and I thought that some aerobic exercise would help my stamina. Well, the time has come. After four years of working to build my Kung Fu base, I have been invited to black sash training. And the first class was this morning. It was hard, and I'm very glad that I have been barefoot running because it helped me so much to get through that very tough class this morning. I've come a long way with this Kung Fu stuff. About five years ago I was looking for a mother/daughter athletic activity we could do together. I was worried that I was not a good role mother as a mom. My children never saw me participating in any physical activities. As I was spending my time contemplating what athletic activity we could pursue -- run together? take ice-skating together? roller blade? ride bikes? swim? -- my kid surprised me by coming up with something of her own. How about we take Kung Fu? Well, I knew it was a martial art at least. Was it like karate? It wasn't exactly what I had been thinking of, but why not? Let's check it out. I thought the forms were pretty. I had liked taking dance and gymnastics when I was young, and it kind of fit in to that concept. I didn't think there was any way at my age and level of conditioning that I'd achieve anything in it. I figured it could be as good an exercise class as any I might go to and give me a nice workout and improve me somewhat. So, we joined the school. The first classes were agonizing and difficult. I felt a knot of fear in my stomach each time I headed over to Kung Fu class in anticipation of the pain I'd be in, and the how much effort I would have to exert. I also did not enjoy being the slowest and least member of the class. It was a humbling experience. My face would go beet red and I'd be huffing and puffing during the sets of conditioning exercises -- jumping jacks, crunches, push-ups -- that occurred at the start of each class. 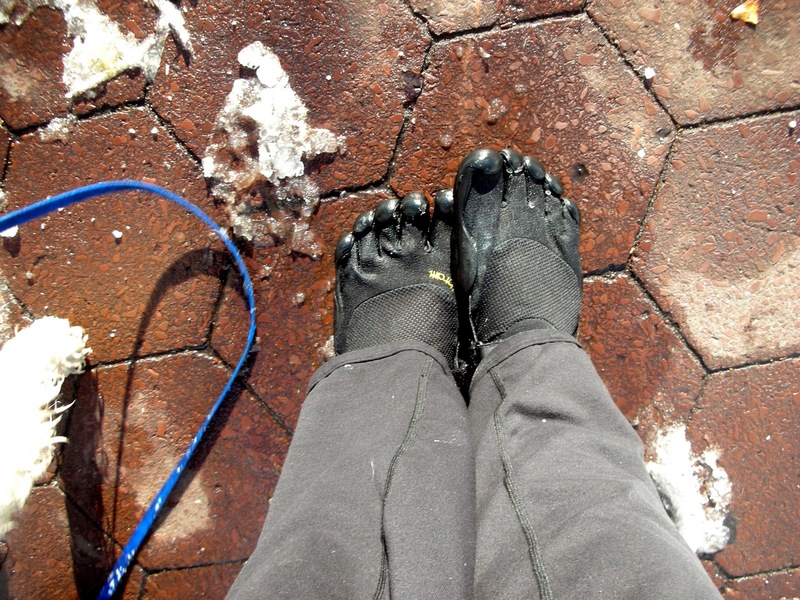 The instructors would look nervously over at me, "Mrs. Barefoot Fresca! Are you okay?" and "Breathe, Mrs. Barefoot Fresca, breathe!!" (Of course I was not known to them as Barefoot Fresca then. In fact, I wasn't even Barefoot Fresca then, but I'm using my stage name here to tell the story). Well, I bet you can guess what happened. That's right. Little by little the body responded, as the body is wont to do with physical activity, and as the law of accommodation kicked in and my physical conditioning improved -- lo and behold -- I found myself actually really loving it and becoming interested in really learning how to do it, not just showing up for an exercise session. Well, the time has come. 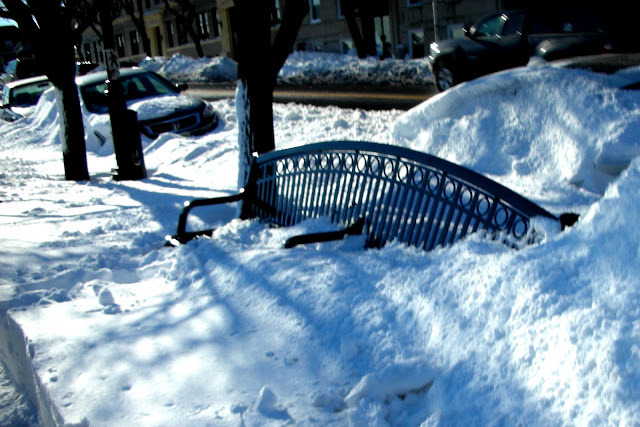 I was so ready for it this past Fall, but something unanticipated happened. I got a little Kung-Fu-de-conditioned in the past couple of months. It's kind of a long story, but my schedule got pretty full and trying to juggle and balance everything resulted in my Kung Fu suffering a bit in the process. So, my first day back after a little Kung Fu hiatus was this stepped up, incredibly intense Kung Fu workout. Boy oh boy was I glad that I was in condition for it aerobically. That helped a lot. Mostly all I had to do was contend with a drop in my level of muscular strength. I know that will come back in about 3 weeks. It was a tremendously positive experience. This school is very special and the black sash class is very encouraging. We're all in it together. There was a bit of pressure on because if someone "messes up" the whole class has to begin all over again. I was the cause of everyone having to begin again a couple of times, but there were others there who caused it too, so it wasn't too bad. At one point, we had to do these battle-line kicks across the floor, which entailed hopping on one foot. Hopping across the floor when you weigh what I weigh is no easy feat. I had been practicing them in the regular Kung Fu classes, but had not been able to make it across the floor. I would hop about 6-10 times and then step and then hop 6-10 times, then step. But that wouldn't do today. As soon as I took that step, he called everyone back to begin again. Oh no! They'll all be mad at me for making them begin again! But they weren't. Everyone started cheering for me. 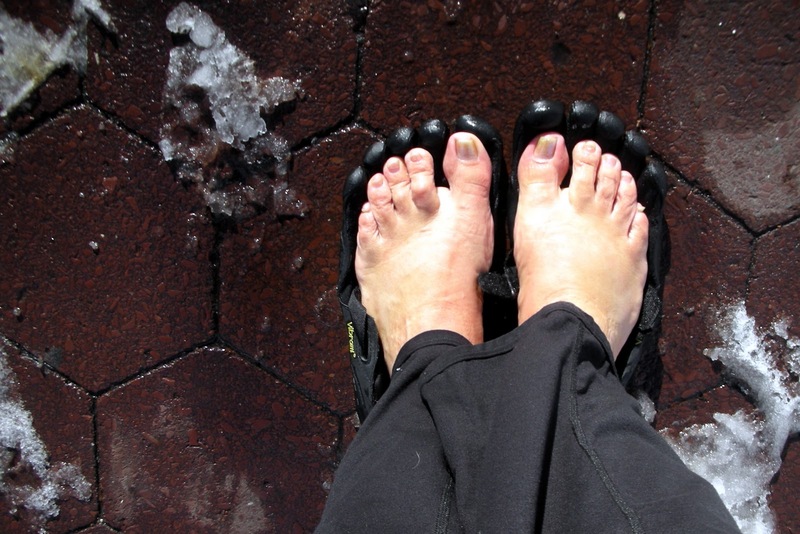 Sifu said, "yes, you can," and I made this act of the will, contracted my abs, focused on making sure I landed squarely centered beneath me each time, did not get my foot ahead of me or behind -- hey, kind of like running barefoot! -- and to my great surprise I made it across. Not only once, but several times on each leg. So, as you can imagine, I'm feeling pretty good (but a little stiff and sore). 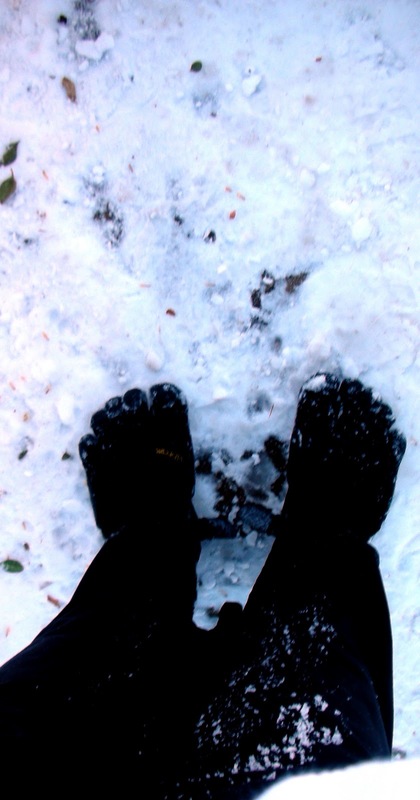 I don't have as great a motivation to run barefoot in the cold as I did before. Before, I was doing it to keep my feet conditioned for Disney. 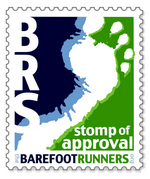 I will try to run barefoot when it's favorable conditions out there, but I may be wearing my Vibrams more often for the winter months now. Monday will be my first run since Buzz and Woody's 5K last week, so we'll see what happens. But I think for the winter months I may be writing a bit about Kung Fu on this blog, since my workouts for that have now stepped up in frequency and intensity and I'll be working for that black sash test in June. 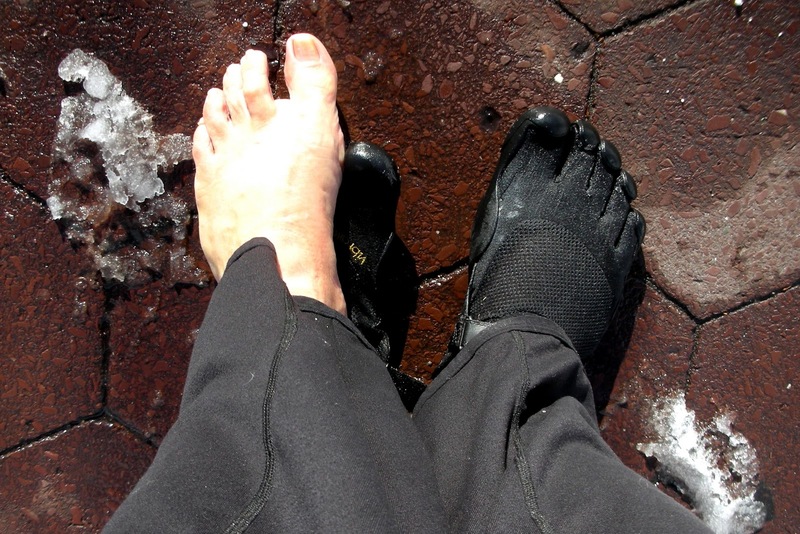 I hope you will follow along as I write now about both barefoot running and Kung Fu black sash training. Thought I'd send you all a few pictures on the eve of my Disney 5K. But I thought it over and decided it didn't have to be all or nothing. Five years ago, I decided to come down here and show my kids what athletic aunts and grandparents they had. I guess they knew my family ran a lot, but they never had seen it, so I decided that it would be really good for them to not only see their extended family run, but also to be around lots of people who did stuff like this. I wanted them to be exposed to that world, that they might not ever realize existed. We came down and walked.the 5K. I planned to maybe run it the next year. But I actually strained my hip joints during that walk. It took a long time to heal, and I decided to proceed more carefully next time I started moving again. I had planned to upload a photo of me crossing the finish line that year, but I forgot to upload it before I left for my trip, so I'll have to add it later. My mom never got her 70th birthday wish. A couple months after I came down to walk that 5K, she was diagnosed with leukemia. She had to stop running and she had to go through chemotherapy and then she had a stem-cell transplant. Her 70th birthday passed. But soon after that everything looked like it was going to be just fine. The treatments were successful. She went into remission. She started training again. But one of the steroids she was on destroyed her knee. Now she can't run any more. So, last year I decided to train for the Disney 1/2. As many of you know it was during that training that I got plantar fasciitis and never finished my training (long run was up to about 6 miles by the time I had to call it quits). When I started up this past spring again, I didn't know what would happen, but I signed up for both the 1/2 and the 5K. And you are up to date now, because you all know I started barefoot running, and because of how gradually I had to build barefoot -- well the 5K it is! Maybe next year for the 1/2? Yes, that's Cinderella's famous slipper done up with running treads. Maybe Cinderella needed that tread on the bottom of her shoe when she had to high tail it out of the Ball. But do people forget that her other foot was barefoot? As she ran away, why didn't she just kick off the other shoe and just run barefoot? Ah, well, no time to worry about it now. I have to get to sleep because we have to get up at 4:15 in the morning to get over to Epcot by about 6:30. I'll see you all after the race. Happy New Year, everyone! I feel most fortunate to have been able to go for a barefoot run on the first day of the year. For the first day of 2011, I got ready with my warm layers, but when I checked the temperature out I was surprised to see that it was 50 degrees! It had been a few days since I had run. I was very busy doing two special performances in the middle of the week with one of my choirs. There was a lot of rehearsing. But on top of it all, a tooth that had been worked on about a month ago with my very first really big cavity started acting up, and now they are telling me that I may have to get my very first root canal. I have never really had any significant cavities and this has been my very first toothache and I have not been liking the experience very much. But I knew today that if I was going to make it in that Disney 5K next Friday -- toothache or no -- I was going to have to do a "long run" (which for me is a 5K distance). I had cut back in recent weeks and had been running shorter runs to acclimate to the cold. I figured that those shorter runs were maintaining my 5K distance for the most part that I had built up over the summer, but if I went much longer it was going to be tougher. When I realized it was 50 degrees out, I ditched my sweatshirt and hat and gloves and headed out barefoot. Having decided that in the winter it is a good idea to take a little barefoot walk around to test the sidewalks, I did just that before I set out. 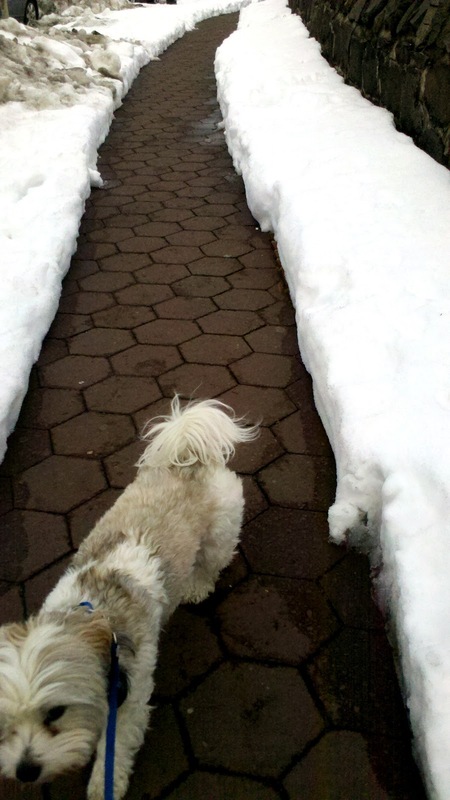 It is true that it was pretty warm, but the melting snow made the sidewalks really wet. Since it wasn't freezing, I figured the wet would not be a problem as far as how cold my feet were, but would pose the usual problem of running in wet, some of which I first discovered when I wrote here about running in the rain. 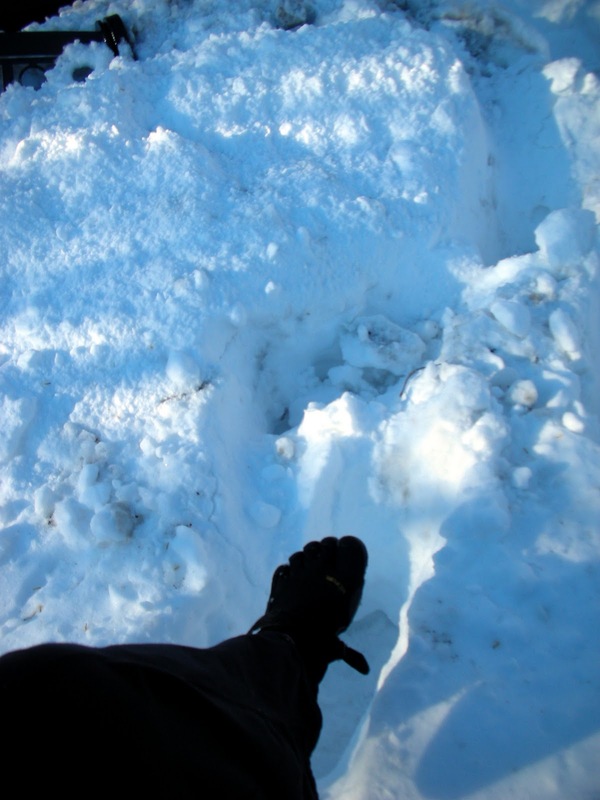 The way was mostly clear, with occasional patches of snow in the way which looked easy enough to jump over. my feet, which you shall see in the next photo. As you can see, there's always a way with these conditions. This is something I would not have realized if my hesitancy to try it out had kept me indoors. In fact, one begins to almost feel slightly clever as one starts to discover little solutions out there. I remember reading in one of my barefoot running books (can't remember which one) that feet getting wet can be okay if you find a dry spot to get them dry as soon as you can. It's when they get waterlogged that there is more of a problem because then the skin starts slipping around and that's what makes one more prone to blisters. So, that little bit of reading knowledge came back to me after I got my feet wet going over the snow patch. I found a dry piece of sidewalk and made sure the water was transferred there as you can see by the photo on the left. 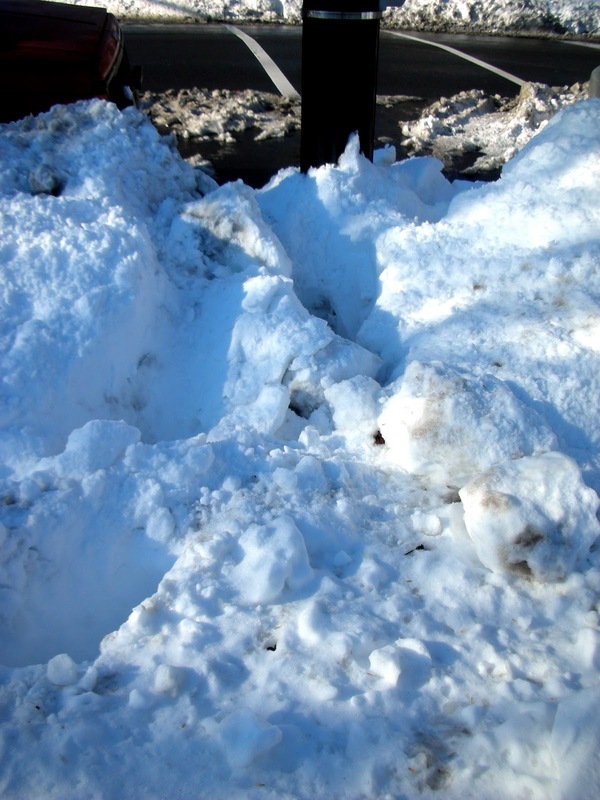 Speaking of solutions, I wasn't sure what to do when I had this snow bank blocking my way to my running path. I had thought that by now they would have cleared the cross walks. But there it was, the same snowbank I had walked through with my Vibrams earlier this week. 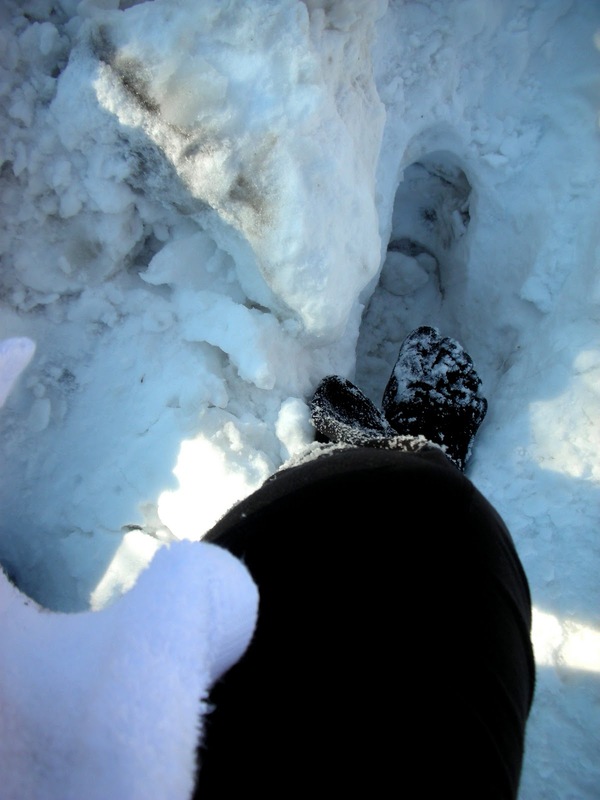 Sure enough, it was easy, thanks to the fact that I had made myself walk in snow a couple of times. As I've been learning, all this stuff doesn't have to be "all or nothing." A little bit of walking on snow can be fun enough, and it's safer than deciding to go run 8 miles in a blizzard. It gives one's feet a little taste of the experience without risking injury. It just stings a little. But then again, doesn't it sting when you grab a handful of snow with your bare hands to make a snowball? And it was worth the trip over the snow bank, because the path before me had plenty of dry stretches. It was going to be good. I ran about 3.15 miles. That ought to do it for a long run. I can have two more runs this week and then I'll be in good shape to run at Disney next Friday. According to the Weather Channel, the low will be about 42 degrees that day and the high 69. It says there will be a few showers, but that can be dealt with. Notes to self: Look for the dry spots and you will be just fine. 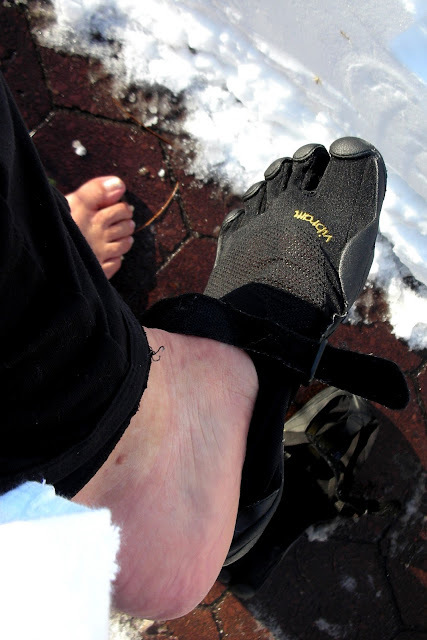 Ah, here we are at last in the final part of the 3-part series "Winter Cross Training in Vibrams." Yes, folks, I dared to write a 3-part series about an hour out running the same route I've run for the past 6 months. I don't know how long I can keep it up, writing about the same run over and over and over again, but somehow, there is always something new. There was so much on this day when I capitulated to the fact that the weather had beat me and I would have to put on shoes, that I did, indeed, need to tell the story in 3 parts. In the first part -- "The Preliminaries" -- I wrote about how I fretted over exactly how I would proceed with this new kind of running with shoes on. 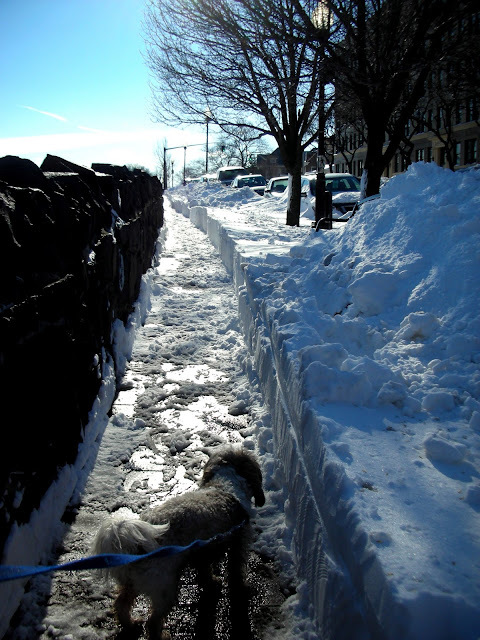 I gave an account of the short walk up the block to the boulevard path and the little challenges the presence of the snow presented. In the second part, -- "Running in Vibrams," -- I wrote about what it was like to run my first steps with shoes on since last June. Since you've seen my little running route adorned with summer and fall, I gave you a peek of it in its winter dressing. Now, in this final part, I get to the fun -- "The Barefoot Part." This part could also be titled, "It Doesn't Have to Be All or Nothing." That's because just because weather and my degree of conditioning may cause me to have to forgo being barefoot for one of my runs, it doesn't mean I have to give up barefoot altogether until spring. I can still include a little bit of barefoot. A little bit of barefoot to keep me happy. A little bit of barefoot is better than nothing at all. And that little bit of barefoot might be doing two things: 1) it may be keeping my feet conditioned enough over the winter so that I don't have to start so tender-footed when the good weather comes and 2) it may be conditioning and accustoming my feet to winter conditions so that I may enjoy longer barefoot runs in the winter in the future. I had decided that there was a little stretch out on the bluff that looked favorable for a barefoot section of running. 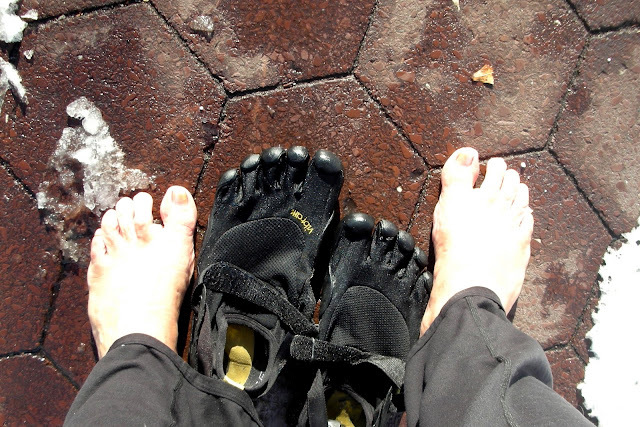 I picked the Vibrams up and tuck them under my belt. My feet were pretty warmed up from having just run 2.37 miles. Since I had done those other runs in the 30s of degrees, it really did not feel bad at all. I continued on to run a half mile in my bare feet. 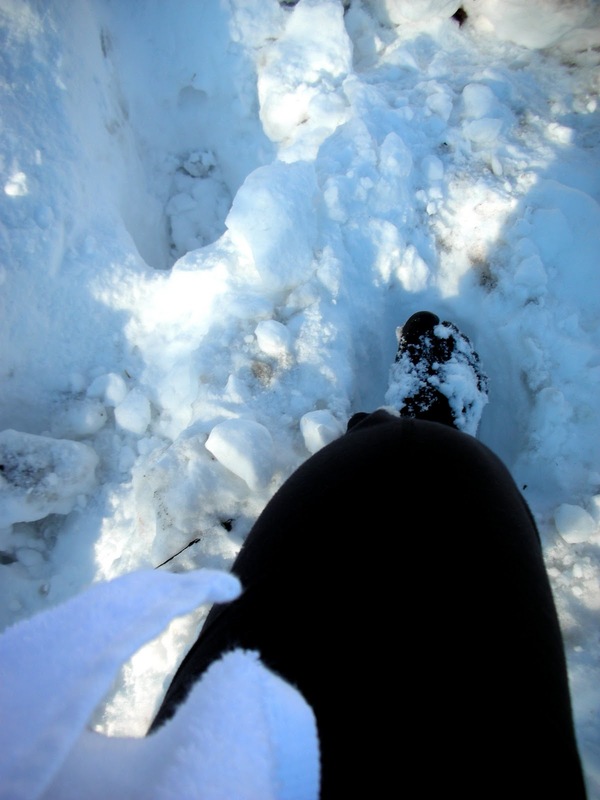 It felt really great to run a half mile outside the day after a giant blizzard. Somehow I felt way less defeated by the natural forces around me. I think a half a mile is fine for someone like me -- still a relative beginner -- to tackle my first year of barefoot running. 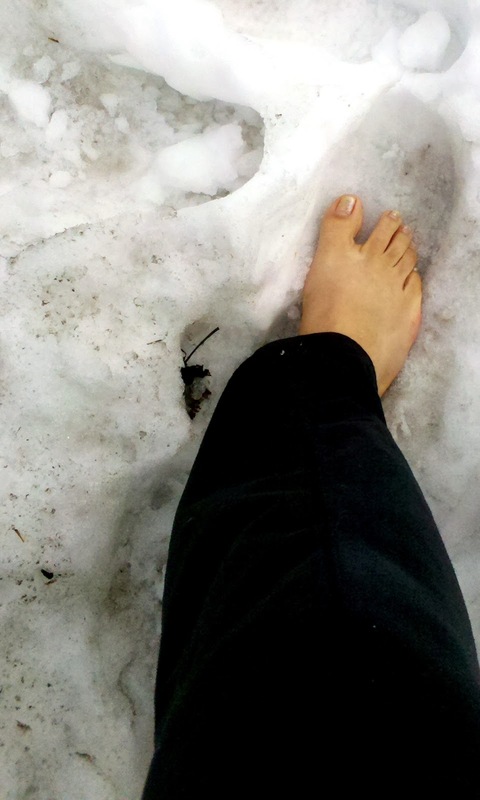 I definitely could feel that the training and preparation I had done in the colder weather -- even the very few steps out into the snow I had done -- had made it possible for me to run barefoot this way. I was very happy. The last piece of tricky business, was how I was going to put my Vibrams back on. Back when I had been trying to envision this, I had pictured sitting on a bench, and tying Daffodil to the bench so I could use both hands. It looked like I was going to have to try to put my wet Vibrams on while standing in place on one foot and holding a dog leash. It went something like this: First, drying my feet with the little towel I had brought along. 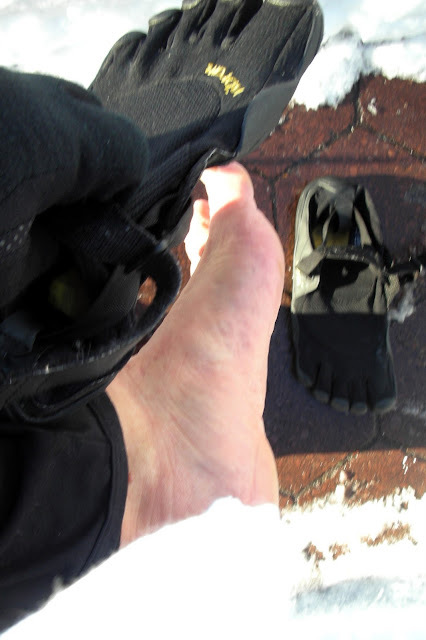 It was a bit of a struggle, cold toes were hard to feel so I couldn't tell which toe was going in to which slot. But it wasn't as bad as I had pictured it would be when envisioning it beforehand. And then I picked her up and carried her over the snow bank. New Year's Day will bring some surprisingly warm weather and delight me in that I will be able to go for a completely barefoot run again. But I didn't know that at this point.